Due to its location and modern infrastructure, the Hanseatic city of Hamburg is the ideal place for putting down or picking up passengers. This means that the city on the Elbe is where many cruises start of finish. 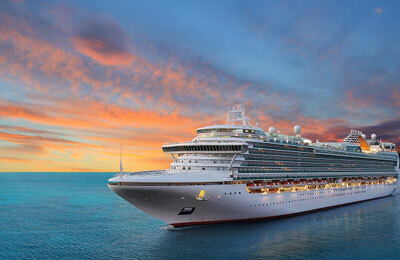 Cruises can easily be combined with city breaks. Our network has developed a range of offers and services designed especially for cruise passengers. 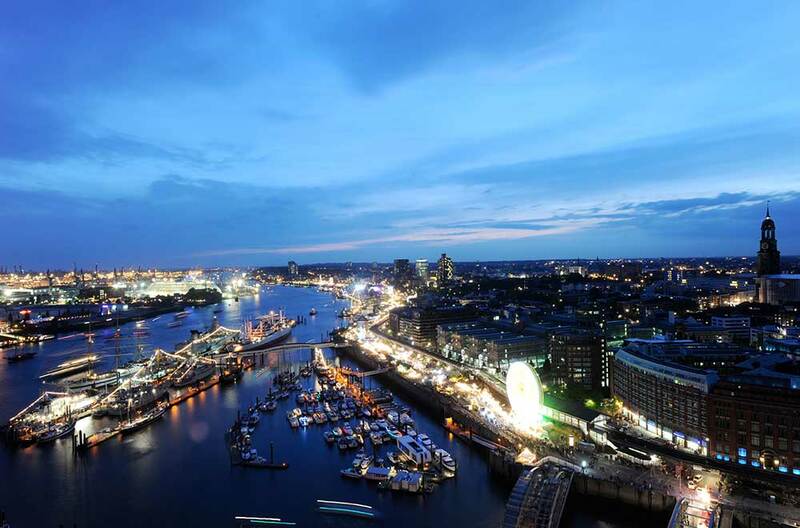 So why not extend your stay in Hamburg and explore one of Germany’s most fascinating cities? Our network has come up with a few extras especially tailored to cruise customers. You can find more offers at Hamburg Tourism, while the HVV Website will show you how to get around using public transport. 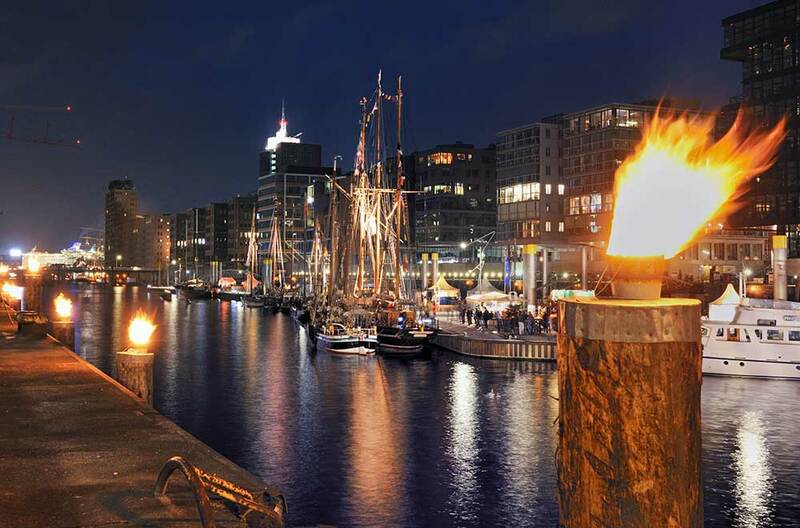 So why not extend your stay in Hamburg and explore one of Germany’s most fascinating cities? With RIB Piraten speedboat tours, you can enjoy an adrenalin-fuelled tour of the harbour. Safety comes first, of course, in terms of both crew and equipment. The boat captains are all official instructors who work full-time as captains with an unlimited patent or who gained their sailing qualifications in the navy. Sea air and the aroma of coffee is Hamburg’s signature scent. 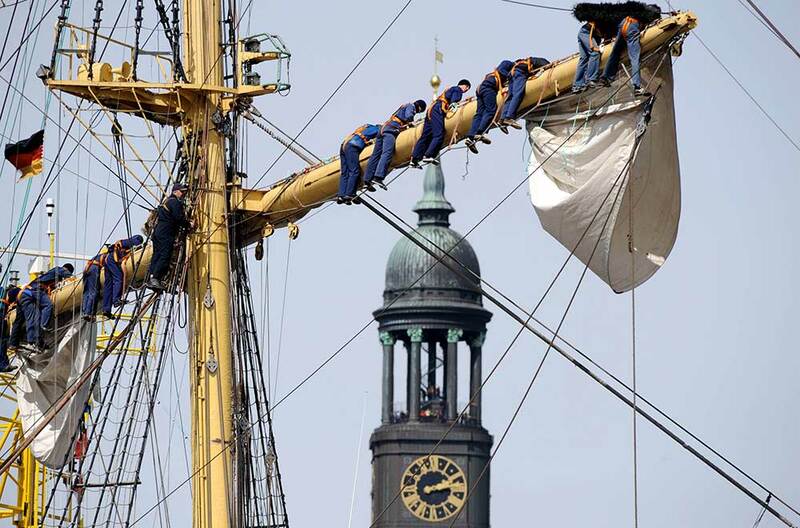 stadterlebnis.hamburg offers exciting city tours that give you the flavour of this famous Hanseatic city. Take an intimate city tour for two or a half-day excursion or a small group tour. Tours are usually available all year round and bookable at short notice. or Robbie Williams … or any number of celebrities, public figures and megastars when you visit Hamburg’s Panoptikum. Founded in 1879, Germany’s oldest waxworks museum (located in the St. Pauli quarter on Spielbudenplatz) is an assembly of the great and the good, featuring over 120 figures form the arts, politics and history. Designed for both comfort and style, the 5-star Ameron Hotel Speicherstadt Hamburg is not far from the HafenCity cruise terminal. It offers cruise packages for guests and is the ideal place to start or end your cruise. As well as complementary drink on arrival and the Vitality Spa, other services include packed lunches for day tripping and free parking for the first 24 hours. Special rates on application. Located on the Elbchaussee, the Hotel Louis C. Jacob is steeped in history. The hotel’s Lindenterrasse, which dates back to 1791, offers breathtaking river views that inspired the painter Max Liebermann. 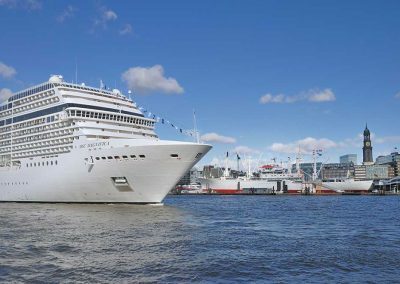 Transfers to the Hamburg cruise terminal are available, as is car parking for the duration of your cruise. Located in the historic manufacturing buildings of St. Pauli Landungsbrücken, the HARD ROCK CAFE HAMBURG is a magnet for music fans as well as lovers of classic American food. The roof terrace and bar offer excellent views and the shop (10 am-12 am) sells the famous Hard Rock t-shirts and other memorabilia. Our voucher entitles cruise passengers to a small souvenir (€30 min. spend). 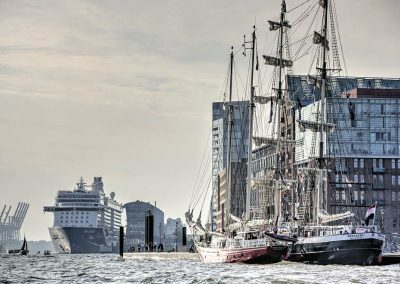 The Hamburg Card gives visitors to the Hanseatic city free access to buses, trains and harbour trips and a 50% discount at over 150 tourist attractions. The card also includes free use of the Hamburg app. The Hamburg Card is available as a single or group card, for one day or up to five days. 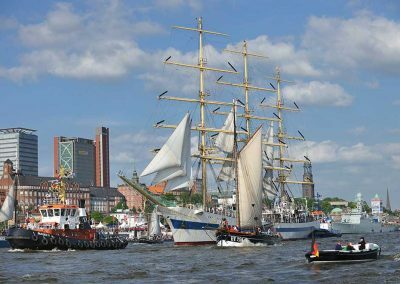 With the cruise arrangement of the Grand Elysée Hamburg vacationers don’t need to worry about the accommodation of their car any more. It is parked in its own underground car park during their cruise. 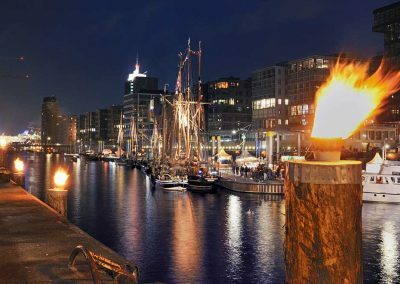 Also included in the offer are the tourist tax, a welcome drink at the Bourbon Street Bar, the overnight stay in a Grand Classic room with breakfast and the transfer to the cruise ship in the Port of Hamburg. High-speed Wi-Fi and use of the Elyseum Wellness & Spa are free on top. No visit to Hamburg would be complete without a tour of the harbour. For a tour through dikes, locks, the Speicherstadt warehouse district and the container port, head down to the St. Pauli Landungsbrücken piers, where you’ll find a wide selection of boats to choose from. There’s even a Mississippi steamer – the Louisiana Star, which is the flagship of the Abicht river tour company. Tours are also available in English (e.g. from Barkassen-Meyer, daily at 1pm). 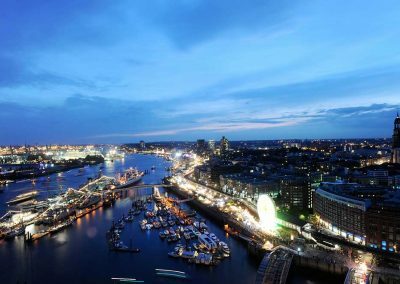 Whether on dry land or on the River Elbe, the city of Hamburg is ideally seen from the river or the waterfront. Ships launched by famous people … inky blue nights with a thousand points of light … maiden voyages and parades with spectacular firework displays … and of course perfect Instagrammable backgrounds. 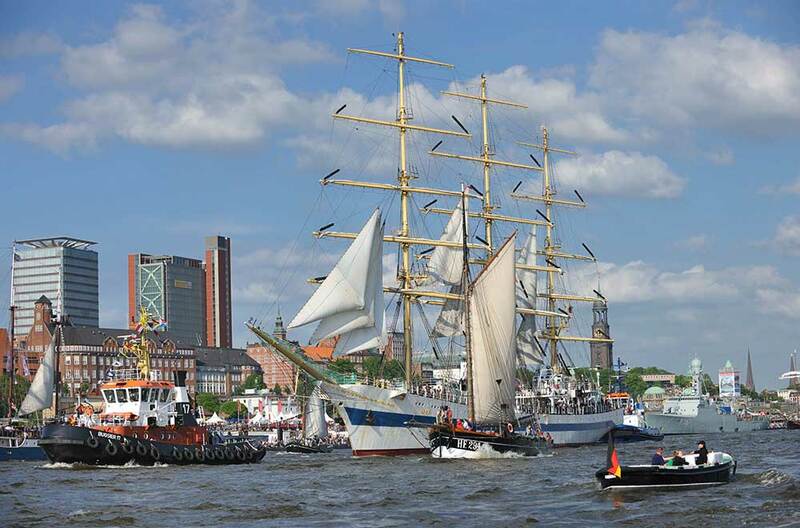 Highlights are the port anniversary in May and the biennial Hamburg Cruise Days in September. 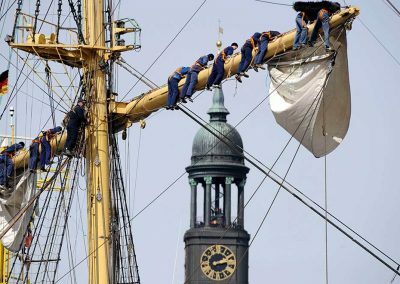 All the year’s events, as well as musicals, exhibitions and restaurant and accommodation tips, can be found in the Hamburg events diary. 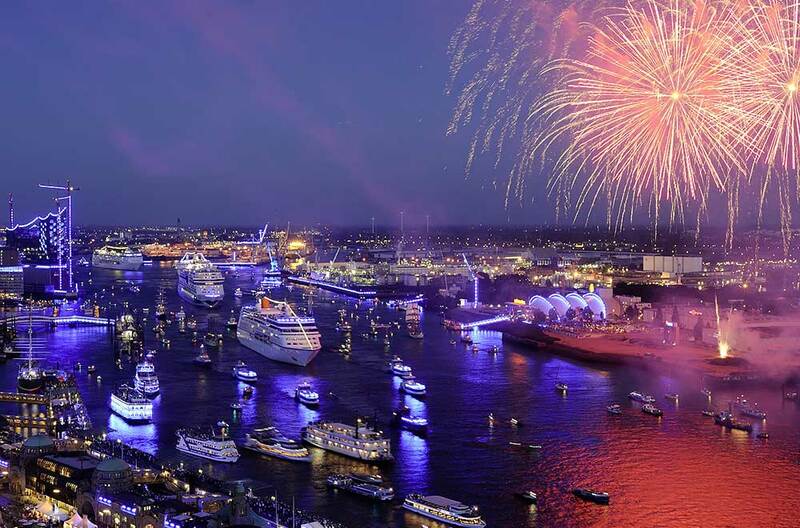 Every May, in celebration of the port’s founding in 1169, Hamburg puts on the world’s largest port festival. 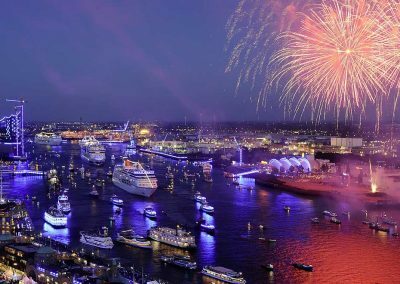 Windjammers, ocean liners and tall ships are as much a part of the celebrations as the Schlepperballett tugboat display, fireworks and open ship events. 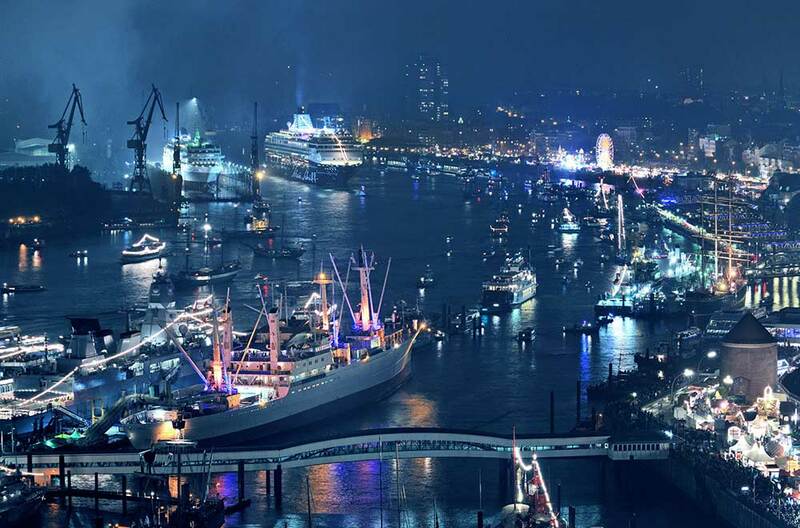 The next anniversary will be celebrated 10-12 May 2019, when once again the Elbe will become a catwalk and the riverside walkways a buzzing open-air party. 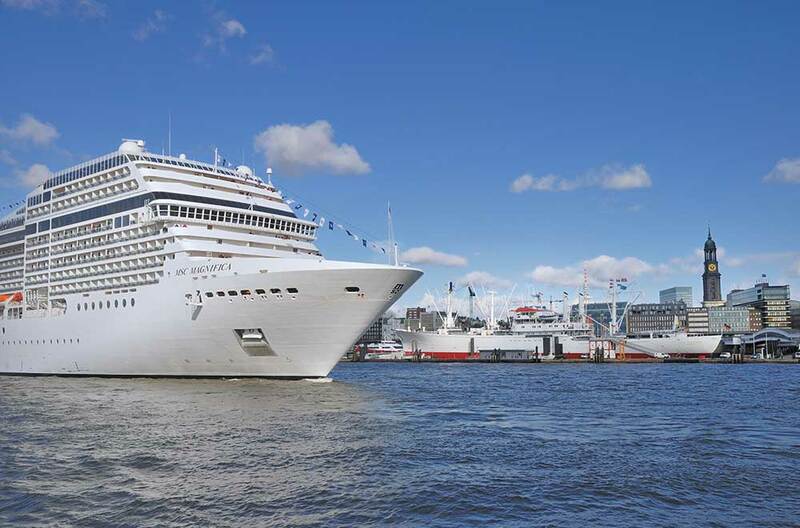 From 13-15 September 2019, this cruise ship event will take place for the seventh time. 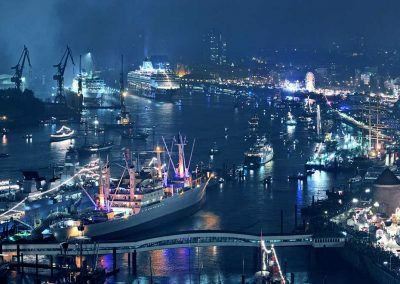 The harbour and Speicherstadt will be drenched in blue light as an entire fleet of majestic passenger steamers turns the Elbe into a catwalk. This biennial event is one of Hamburg’s biggest attractions. 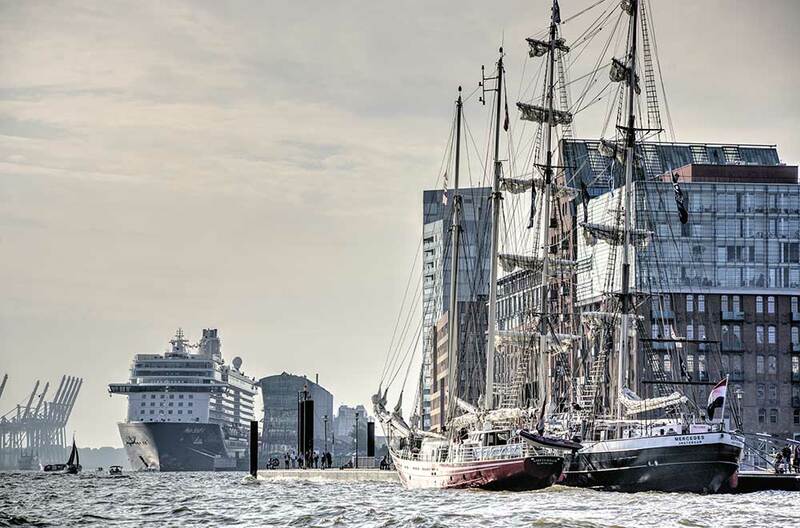 Prior to the Hamburg Cruise Days, experts from around the world gather in the city from 11-13 September to discuss challenges and trends in the European cruise ship industry. This biennial conference is one of the industry’s most important events. In 2017, 5,000 visitors and 260 exhibitors from forty countries were in attendance. With the friendly support of our members.